Food 4 Less is a chain of warehouse grocery stores that is headquartered in Compton, California. The grocery chain is a subsidiary of grocery giant Kroger, Inc. 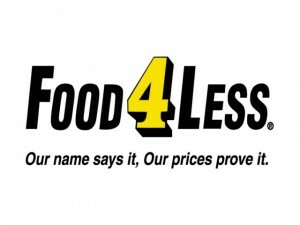 The name Food 4 Less and its logo was conceived in 1930 by a man named Lou Falley. Falley founded chains of stores under Food 4 Less and Falley’s. Falley’s stores had a full-service format while Food 4 Less stores had a no-frills format. Food 4 Less stores were what can be considered warehouse stores, with its products displayed at shelves in their original cases, instead of stacking individually. Both store chains were located all throughout the eastern part of Kansas, as well as the north western part of Missouri. Over the years however, the number of Falley’s stores decreased, as those were converted to the Food 4 Less format. In the 1980s, Food 4 Less went into a merger with Ralphs. In 1997, Fred Meyer was able to acquire Ralphs, and along with it, Food 4 Less. One year later, Kroger acquired these stores. In the same year, Fred Meyer sold the Food 4 Less stores in the Midwest to Kansas-based Associated Wholesale Grocers. With this acquisition, these warehouse-type stores were phased out and replaced with full service stores, still under the Food 4 Less logo. Ever since Food 4 Less stores started, they have been considered a “no-frills” store. Customers who shopped at Food 4 Less bagged their own purchases during checkout. There are a number of Food 4 Less stores in the area of Illinois, Nebraska, Southern California, Nebraska and Nevada. Although Kroger operates many Food 4 Less stores, some are operated by franchise owners. These stores are located mostly in the states of Oregon, Northern California and Central California. The Food 4 Less name was previously used by Fleming, however when it collapsed, the wholesalers were given the rights to the Food 4 Less name. This in turn brought them a number of customers who formerly shopped at Fleming. In areas like Northern California, Kroger uses the name Foods Co. where it is not allowed to operate under the Food 4 Less name. This is because Kroger is bound by an agreement with Falley’s and Nuggets Markets. Nuggets Markets operate all Food 4 Less stores in northern California. There is currently no full service grocery store on Peoria, IL’s south side. I am hoping to possible open a franchise or have your store come in and set up a grocery store business. For further details, please contact me via email or cell phone 309-222-3594. Looking forward to hearing from you. Thanks for your time. I am a small craft business in Fontana, CA. I make tissue box covers out of various fabrics. It looks like a small couch. I have been purchasing 1 – 2 cases of Kroger 2 ply facial tissues at $.99 for a while now at the local Food4Less store. I need to keep my costs down because what I make in time costs me more that what I can sell my product. So keeping my costs down on materials is a must. But recently the line with bar code on the case 10011110908077 has increased. Is there any way I can get the case of18 tissues boxes at $.99 ea and the store would I hope still make money on the sale. I do have a for resale number with the CA and pay sales tax to the CA. If so, is it possible to supply me with a document that I can take to the local store to pick up cases when I need them.at a discounted rate. I know I am not a big company, just a small craft business owner but your assistance in this would be greatly appreciated. If you would like to see the product let me know and I can send an email with photos attached. Just send a request.